After more than 20 plane rides (including overseas flights) with our kids in the past few years, plus logging more than 120 hours of road trip drive time this year alone, we’ve learned how to make traveling with kids a whole lot easier. Today I’d like to pass on some of what we’ve learned! 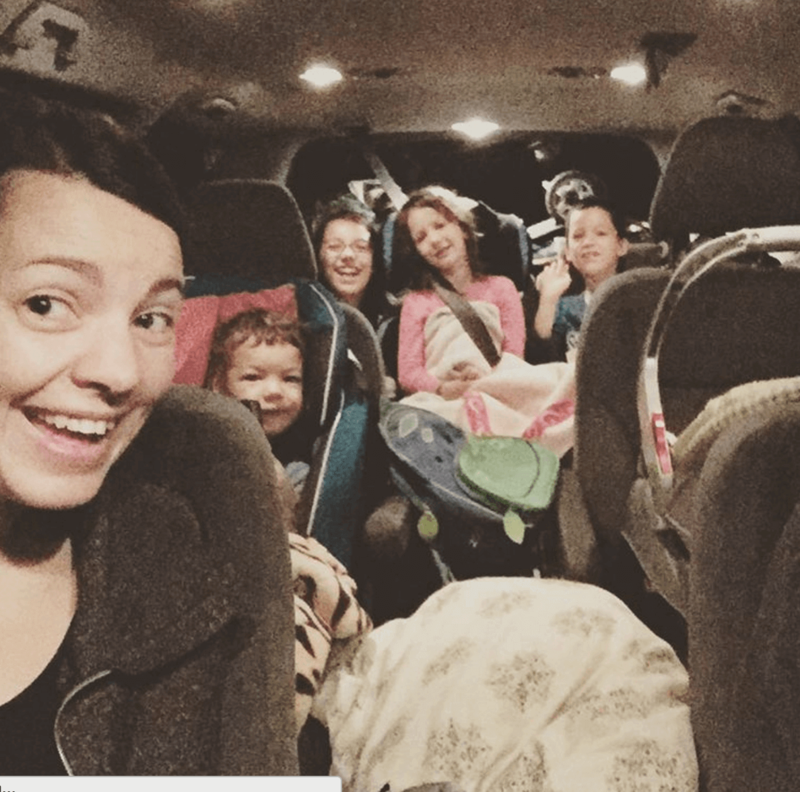 I know it can be scary to take bigger trips with kids in tow, especially when you worry about throwing off their daily routines, new sleeping arrangements, fussy babies on airplanes, whiny kids in a minivan, etc. I get it. But as avid travelers, I’ll also say that for the minor discomforts and inconveniences of going the distance as a family, we never regret it. Sure, the travel days may not be our favorites. But the time spent in new places, exploring and having adventures, visiting with friends and family, seeing and doing and learning? Those times are priceless. I love Myquillyn’s annual reminder that 18 summers is what we’ve got. We want to build memories and family traditions and thoroughly enjoy these times together with our kids. 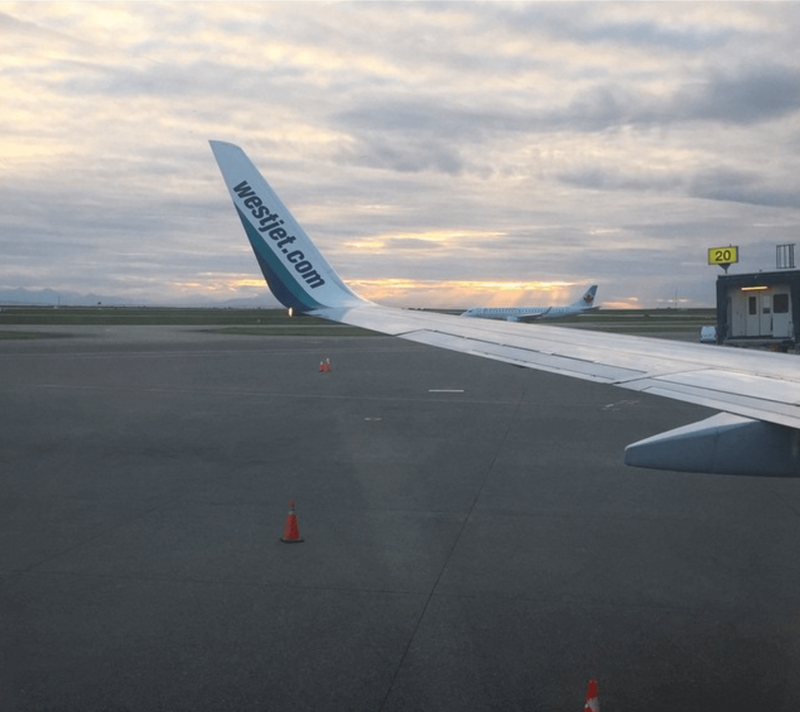 If you’ve got some road tripping or airplane travel lined up for the summer (or you’re considering it but worried about the logistics), I hope these tips help you feel more confident that your family travels can be easier, smoother, and yep, even fun. You can always buy things, wash things, or simply go without. You’d be surprised how often all the things you absolutely-positively-must-have actually never get used at all. The less you have to pack into the car, lug through the airport, etc. the happier you’ll be. Trust me on this one. Every time we go through an airport, we see families struggling with multiple carts loaded up with luggage they just don’t need. Don’t be one of those families. Unless you’re literally going on a backpacking trip (in which case each person’s clothing, shoes and “other” should be limited to whatever they can safely/comfortably carry in their own pack), they don’t need their own bag. 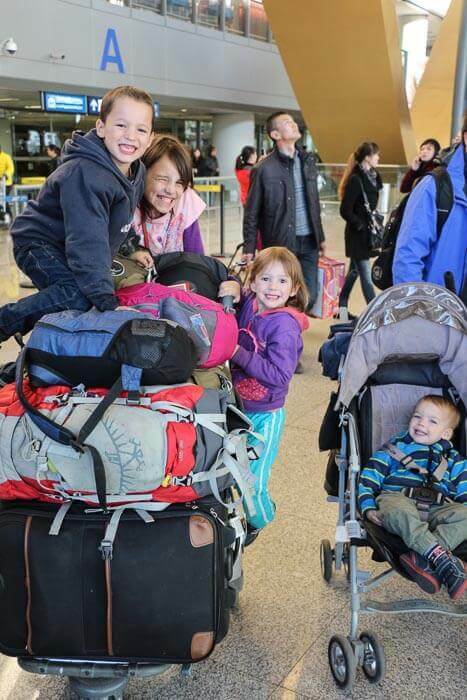 For our five kids, I usually pack 1-2 suitcases in total (which is plenty for a one or two week trip – if it’s only a weekend, I’ll definitely stick to just one). That said, I rarely pack more for longer trips than I do for mid-length trips, because I always plan on doing laundry. In the Kunming, China airport, our kids sit on all our worldly possessions, for one year, for six people. Whether you’re staying in a rental cottage or apartment, a hotel or resort, going camping, or staying with friends or family, there is almost always a way to do some laundry. And there’s always washing by hand in a sink or bathtub if all else fails. For me, doing a couple loads of laundry is SO much nicer than packing a ton of stuff. I also love to do extra laundry towards the end of our trip, so we go home with mostly clean clothes, rather than having suitcases full of dirty clothes to deal with when we get back. While we don’t give our kids their own suitcase for clothes, we do let each one take a small day-sized backpack for longer trips. This is really helpful for entertainment on the road or in the air. We usually restrict our children to a certain number of items. For example, a pencil case, coloring book or notebook, a book or Kindle, and 5 small toys (and depending on the items, one toy might equal a ziplock baggie with lego pieces, a small stuffed animal, a doll, etc.). Though I’m a big fan of baby wearing, once they hit about 5-6 months, they become very heavy and can really wear on your back if you’re carrying them for long periods of time. And even when we don’t have a baby, we still bring one for a 2- to 3-year-old. In the heat of summer or for toddlers who still take an afternoon nap, having a stroller for them to climb into when they’re tired or grumpy, a canopy over their head for shade, or just to help them keep up with everyone else without rushing their sweet, short legs to move faster than they’re capable of. Not to mention, a stroller gives mom and dad a place to hang a backpack or diaper bag or purse, plus depending on the stroller, a bit of storage below for a water bottle or two, snacks, sun hats, etc. For those traveling by plane, ask for a tag for your stroller when you get your boarding passes. You can take it all the way through security, right up to your gate and leave it just as you board the plane, and then pick it up again immediately when you get off the plane. Also, it’s free. You can bring both a car seat and a stroller for a baby free of charge with pretty much any airline I’ve ever flown with – same goes for carseats for older children who still require them by law. If you’re traveling by airplane with a baby on any sort of longer flight (say 5+ hours) always make the request for a seat with a baby cot. It’s best to do this as far in advance as possible and it isn’t always available, but when it is? It’s a game changer. Essentially this is a special seat on the plane where the attendants hook up a sort of bassinet on the wall in front of the seats between take-off and landing (during those times, baby has to be on your lap as usual). This means that even with a lap baby, you might be able to lay them down for a nap or at least let them sit/lie down in there to give you some hands-free time to have a drink or eat a meal without wrangling a squirmy baby at the same time. Always make sure your diaper bag has at least one change of clothes, and if you’re in locations where you could have temperature extremes during the day (like camping, where it could be hot in the afternoon but chilly at night), then I like to bring one extra daytime outfit (even just a simple onesie) plus a sleeper with feet or a pair of warm pants and sweatshirt to throw over the onesie. 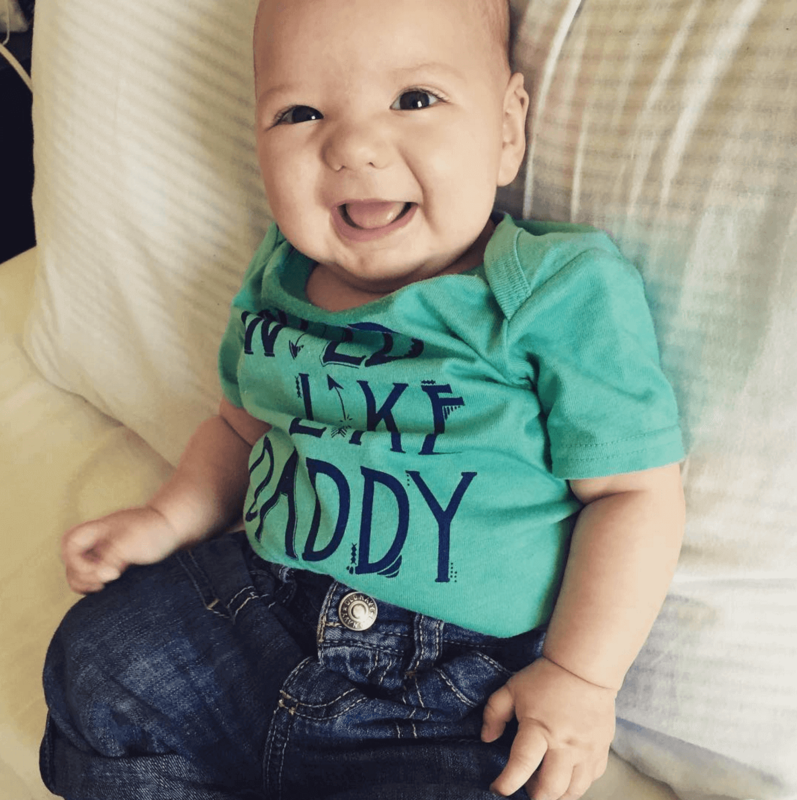 On an airplane, you’ll never be so glad to have a change of clothes for baby as for when they throw up on themselves (or you) or when they’re in your lap and they pull your tea or orange juice from your tray and dump it all over themselves (again, or you). As a mom of a baby, when we travel by plane I try to keep an extra shirt for myself in a carry-on bag. 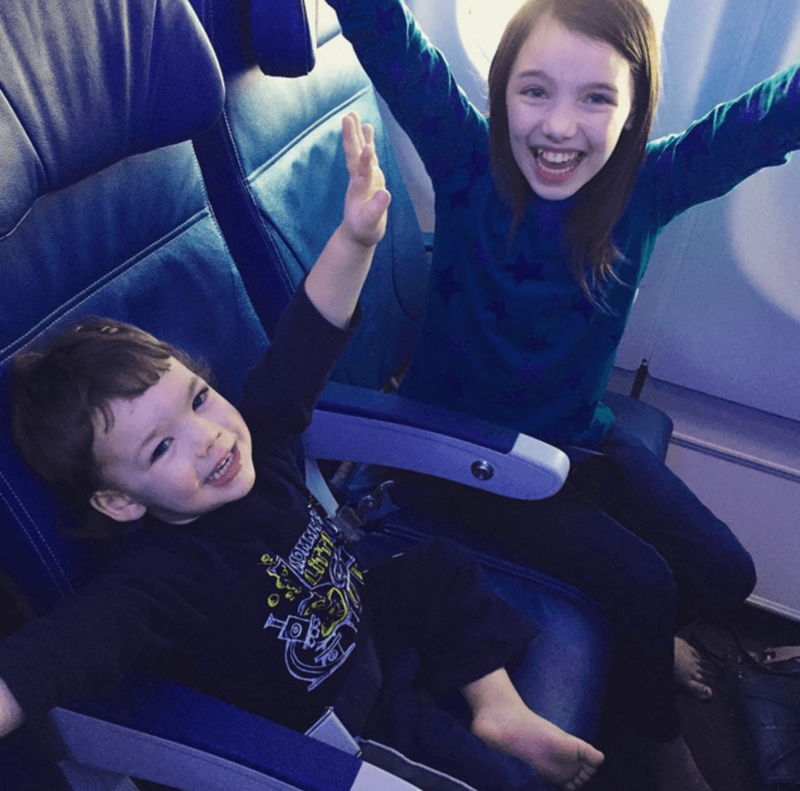 Though we don’t really drink juice at home, we let our kids go to town with the free apple or orange juice on planes. We also give them free reign on the personal TVs when we’re on a plane with that option. We always pack extra headsets and earbuds so each child can watch TV from their own seat. Would we allow a solid 5+ hours of screens at home? Nope! But flights are such an infrequent occurrence that we just go with the flow and trust that one day of non-stop apple juice and How to Train Your Dragon on repeat isn’t going to kill anybody. Instead, it makes flying an exciting event that our kids look forward to. Because we frequently travel with a baby, I’m usually the one pushing the baby and attending to them, while my husband holds everyone’s passports and boarding passes. He also primarily helps our older children through security, while I manage the baby by myself (take him out of his stroller, walk through with him, put the stroller back together, etc). Just knowing our roles makes getting through much smoother! It also helps a lot to explain the process to your children while you’re waiting in the check-in or security lineup, if they’re not used to flying. You can (and should) take initiative and start removing their backpacks, jackets, etc. while you’re waiting in line so you can breeze through security much faster. Also, always check to see if there’s a line for families with small children, as these can save a ton of time and hassle. It’s not much slower, but getting through the airport with young kids and babies in tow does take a little longer than traveling by yourself. If you’d normally give yourself two hours, then consider two-and-a-half with kids. It’s always better to have that extra buffer than to frantically race through the airport trying to push a stroller, drag a three-year-old and keep eyes on your six-year-old. It’s honestly not worth the extra 30 minutes of sleep, and hey, maybe you’ll sleep on the plane! Looking for some specific road trip tips? 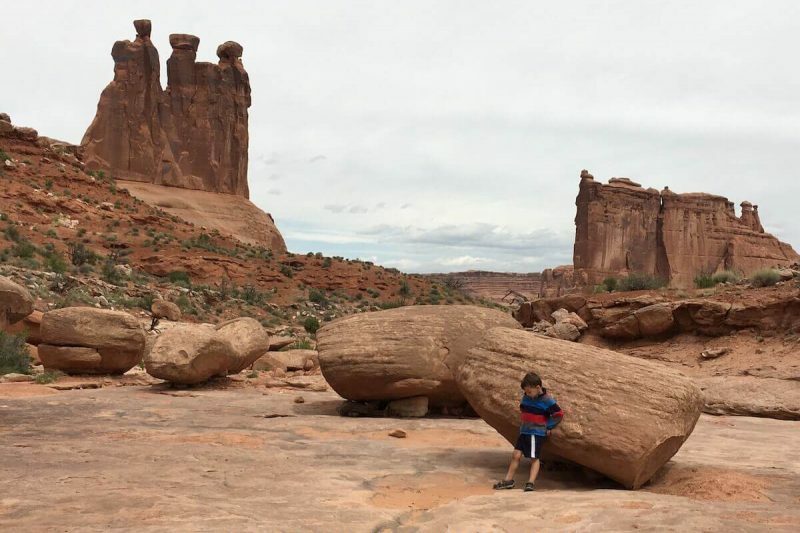 I’ve written much more extensively about road tripping with kids in these two posts – Part 1 and Part 2. 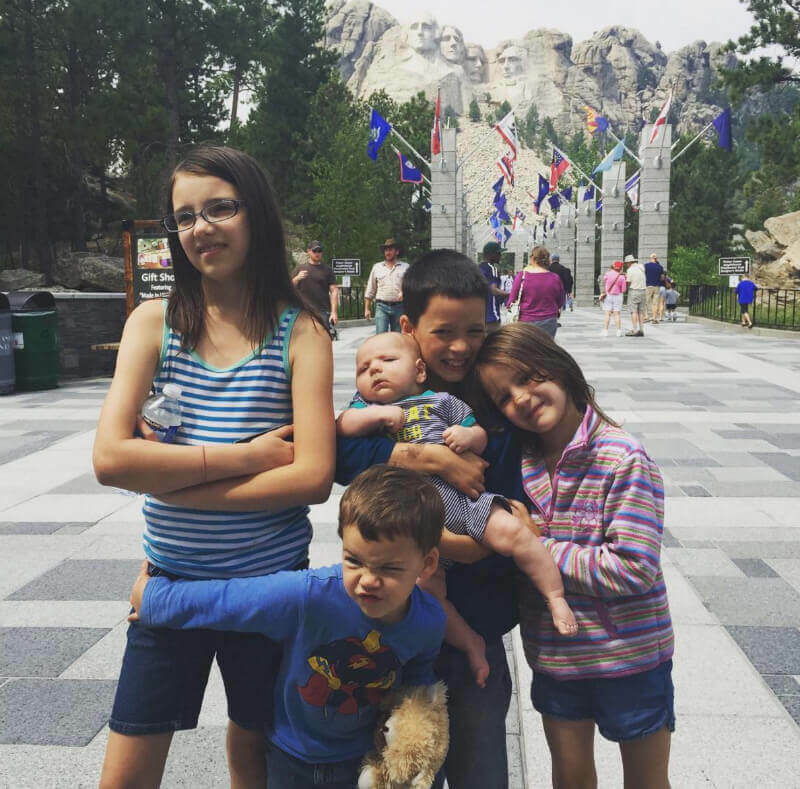 Note from Ann: Traveling with six kids I can fully appreciate all of Stephanie’s tips! Lighten up, on luggage and rules, so traveling is fun instead of tedious. Our kids are all teenagers now so we focus on letting them find our gate at the airport or pick the right platform to get on a train. Traveling can be both fun and educational if you set it up for success! Don’t be afraid to start early! Last year we took our family on a six week RV trip across the country. When we set out we were fully prepared to want to strangle each other after such close proximity for so long. 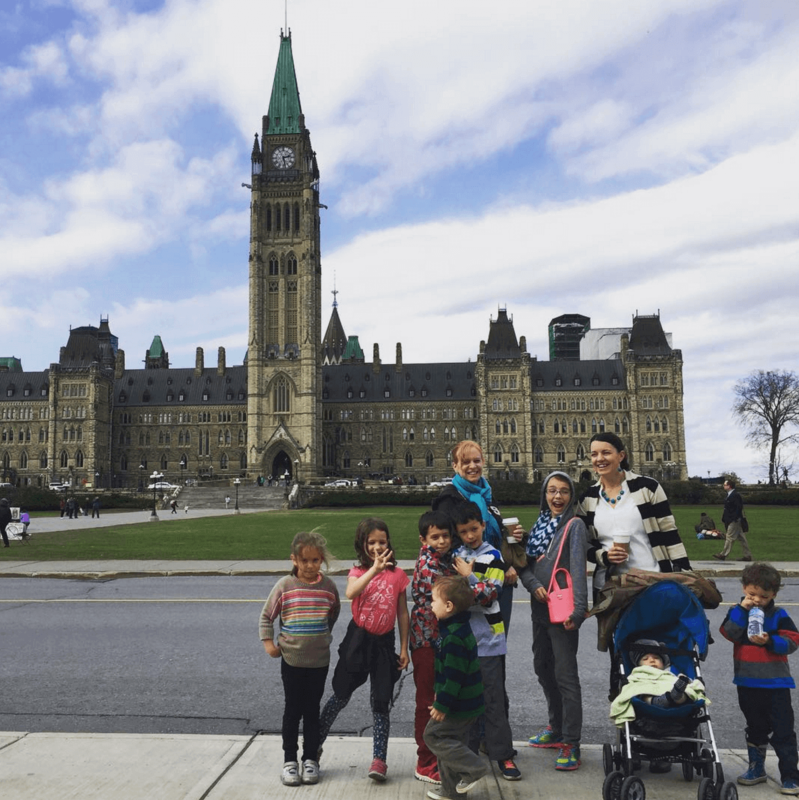 To our great surprise…none of our kids wanted to come home! We had bonded in such a way that we felt we could have kept going indefinitely (too bad we have to work, right?) and the kids still ask to do it again! All photos from my Instagram feed, where I share our family travels. 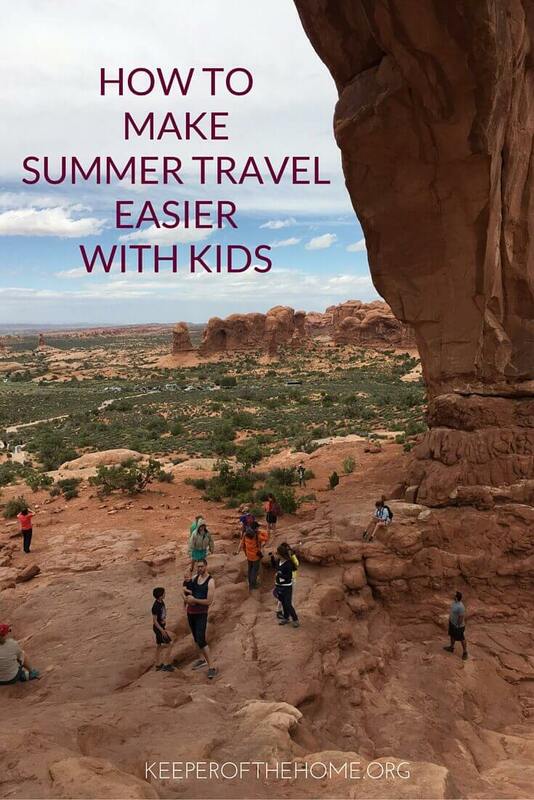 Do you have any great tips for how to make summer travel easier with kids? I’d love to hear them!